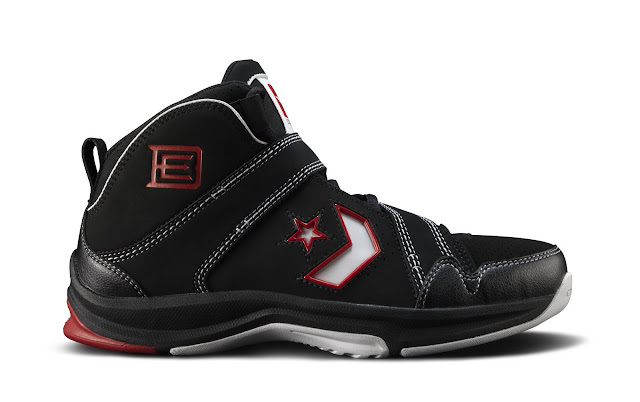 The Converse Blog: Converse brings us Elton Brand's new signature shoe, the EB2! 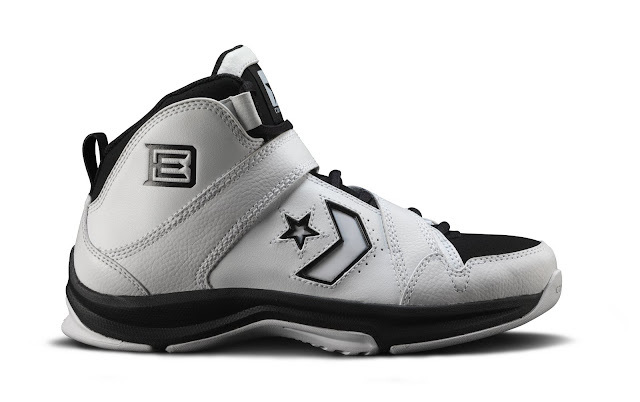 Converse brings us Elton Brand's new signature shoe, the EB2! NORTH ANDOVER, Mass. (October 22, 2009) – Good things happen in threes. 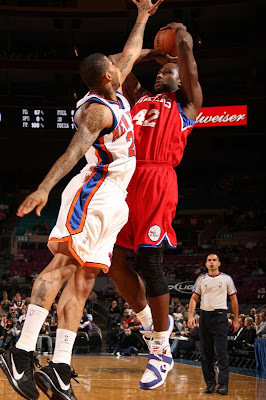 The 2009-2010 NBA season marks three notable returns for 10-year NBA veteran Elton Brand and Converse. Brand returns healthy for his second season with the Philadelphia 76ers, Converse’s iconic Star Chevron logo is once again featured on basketball footwear, and Converse returns with another Elton Brand signature shoe called the EB2. 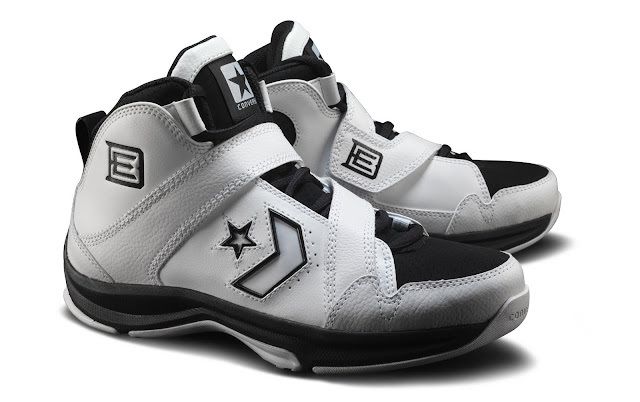 The EB2 is a follow-up signature basketball shoe from last year’s first-ever Elton Brand signature shoe, the EB1. After a successful year with the EB1, Converse again partners with JCPenney to offer an affordable performance basketball shoe for adults and kids. The EB2 is designed for basketball players who specialize in quickness, agility and versatility. The shoe is made of durable leathers for optimal support and features perforation in the toe box and midfoot, providing improved ventilation and comfort. The EB2 also includes speed lacing for a sleek look and a spat strap that provides additional lock down for enhanced support. The midsole is made of light weight EVA, while the outsole has multidirectional circle bone traction, forefoot flex groove and a decoupling heel for optimal ground contact when landing. 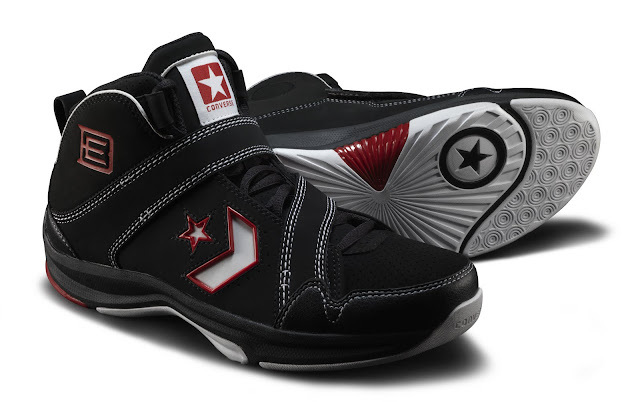 In addition to Converse’s Star Chevron logo, the EB2 features Elton Brand’s Converse logo, which was introduced at the start of last season. 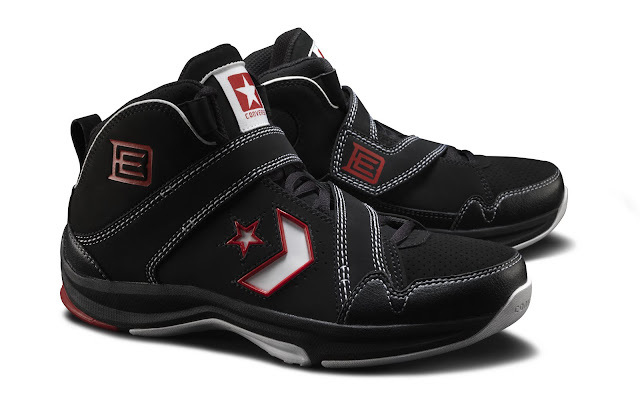 The Converse EB2 is available now and retails for $65 in adult sizes and $50 in kid sizes. 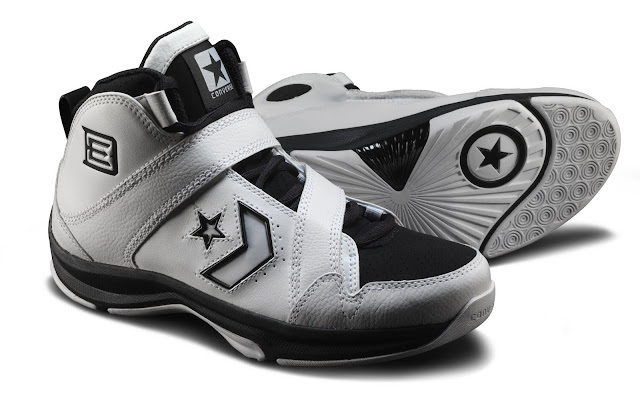 The EB2 is available exclusively at JCPenney locations nationwide and online at jcp.com and converse.com. It will roll out in three colorways this season including black/white/red, white/black/red and white/black. One of the premier post players in the game since being selected as the first overall pick of the 1999 NBA Draft, Elton Brand returns for a second year as a Philadelphia 76er. A two-time NBA All-Star selection and the 2000 NBA Rookie of the Year, Brand averaged 13.8 points, 8.8 rebounds and 1.3 assists per game during the 2008-09 NBA season. He was named the consensus college player of the year following his sophomore season at Duke University, where he led the Blue Devils to the NCAA Championship Game. The recipient of the 2006 NBA Sportsmanship Award, Brand also founded the Elton Brand Foundation in 2000 to help communities through educational and recreational opportunities. Why not use the BALLS tech on all their high profile shoes?? ?